To celebrate the last Poetry Friday of National Poetry Month, I’d like to introduce you to Henry Crawford. Henry Crawford was a featured poet at Wilde Readings in November. This fall, Henry was a featured reader at Wilde Readings — the local literary series I co-host with poets Ann Bracken and Linda Joy Burke. I was intrigued by the way Henry’s work as a lawyer and software developer impacts the form, content, and rhythm of his writing. More than anything else, though, what draws me into Henry’s poems is his attention to the vivid, precise details that tell a story, or bring a person to life in a few words. Today, I’m sharing Henry’s poem “Off-hours” from his collection American Software. I’ll link to another poem at the end of this post. the cops will drop by. and there she is — laughing. circle the bald bar light. Even the cops are gone. These streets belong to us now. The radio knows this hour well. My mother is singing to the wheel. on that slow roll home. “Off-hours” and “Every Morning Maddie” appear in Crawford’s collection American Software. Available at Amazon. “Off-hours” was first published in Scryptic magazine (December 2017 issue). It is shared here with the author’s permission. 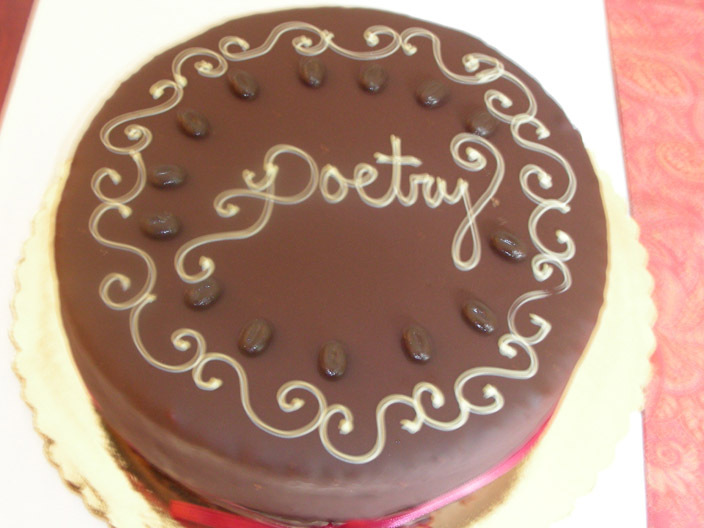 Thanks to Irene Latham for hosting this week’s Poetry Friday round-up at Live Your Poem! Hope you had a great Poetry Month, Irene. Shh! Welcome, but come in quietly. It’s a Poetry Friday surprise birthday party. As a debut verse novelist, I was thrilled to meet Lee at a 2016 library conference. Lee is not only a wonderful children’s poet and Guinness World Record holding anthologist (really — the citation is here), he has also been a mentor to many, many poets — including me. I love sports poetry. That’s why, even though my new middle grade novel is not written in verse, I kept Lee’s anthology OPENING DAYS close to my desk while I was writing TAKEDOWN. The rhythm, quick pace, and word-bursts of poetry are a great way to communicate the action and emotion of sports. To help celebrate Lee’s birthday, I’m sharing his poem from OPENING DAYS, “Final Score.” Note: the book is illustrated by Scott Medlock. This poem was one I returned to over and over as I wrote the story of two sixth grade wrestlers, a boy and a girl, who are struggling to figure out who they are on the mat, and — more importantly — off the mat. What I find so compelling about this poem is that it’s not about the competition. It’s about the moment after. It’s a pause in the motion. Where is the surprise party happening? At Life on the Deckle Edge. Robyn Hood Black is this week’s special Poetry Friday/National Novel Writing Month/Lee Bennett Hopkins celebration host! Happy birthday and lots of love, Lee! Check out the back cover re-design! The paperback edition of The Last Fifth Grade of Emerson Elementary comes out this week. To celebrate, I’m doing a *big* giveaway: A class set of books for one lucky teacher or librarian! I want to hear — and share — how your students are celebrating National Poetry Month. Are you reading a poem every day? Creating a Poe-Tree display (with poems on the leaves) in your library? Holding a poetry slam? Post a description of your National Poetry Month activities using the hashtag #ourNPMproject on Twitter, Instagram, or post it to my Facebook page. Be sure to tag me on your post. Your class will be entered in the giveaway. I’ll draw one random entry on April 30 and that person will receive a set of Last Fifth Grade paperbacks. This box of paperbacks is going to one lucky winner! Post your students National Poetry Month project with the hashtag #ourNPMproject to be entered. “But wait, Laura,” I hear you saying. “I need some poetry activity ideas.” You’ve got it. Jama Rattigan’s Alphabet Soup has a list of National Poetry Month events, projects, and write-alongs throughout the kidlitosphere. Check it out here. Do your students love verse novels? How about this challenge: As a group, read 30 novels in verse in 30 days. Lesley Roessing has a reading list for you. Finally, Renee LaTulippe at No Water River is posting daily poetry writing exercises, led by 30 children’s poets. The series begins here, with Young People’s Poet Laureate Margarita Engle. I can’t wait to hear about all of your creative celebrations and projects. Good luck!